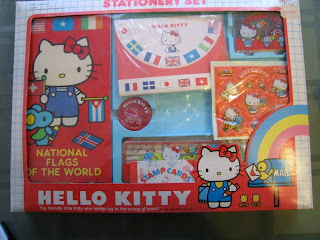 This week is an exciting one for this sanrio addict! 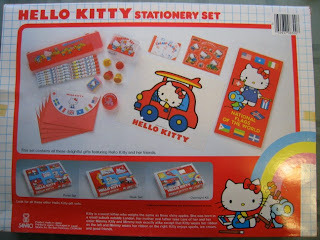 I won two great vintage items that are now added to my many sanrio collection: a vintage sealed Little Twin Stars sticker and a Hello Kitty Vintage School set. 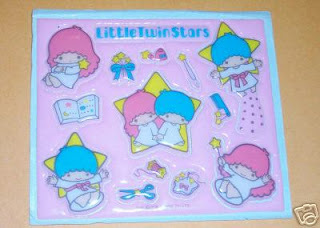 I haven't yet taken a pic of it, but this is another piece I have that is not sealed. Vintage 1984! All mint unused! Inside. 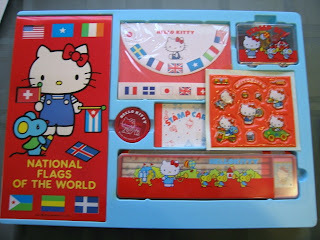 What a great treasure for this sanrio addict!